My boyfriend has just told me that he and his mother are going back to Weight Watchers, again! This is a regular thing that they do and have never stuck to it yet. I felt that they needed to discuss what foods they would have in the house so neither felt like they were missing out. My boyfriend was as laid back as ever and said he would have anything, his very picky mother was very agreeable when I suggested fruit! Fruit tastes great and is so good for you. Junk food is convenient and readily available and even at work there are vending machines full of the stuff. Well keep your money in your purse and take a banana or apple with you for those snacks. 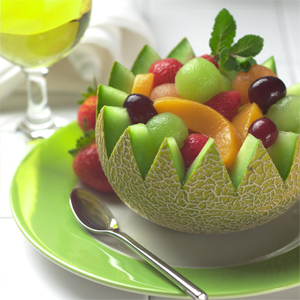 To make sure that you always take fruit with you when you go out, keep a bowl by the door so you can’t get out without seeing it. It’s always a worry that food might spoil before you get it eaten. There are two things you can do here; either buy it in smaller quantities or do what I do, always keep in frozen fruit juice and dried and frozen fruits. There are so many health benefits from fruit, and so many different ways to prepare it that you should never get bored with it. So do what these two have done and swap candy for fruit. Ditching your candy for fruit will be tough at first, but you’ll get there. It’s just like breaking any bad habit, except this one will have a great effect on your health.